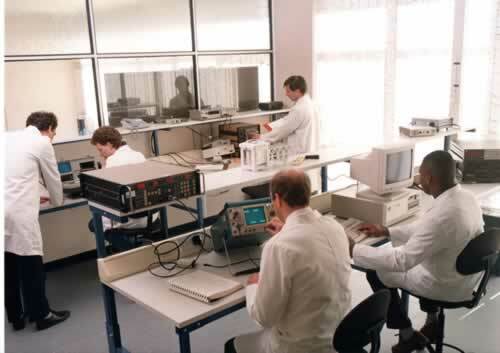 Optical Test and Calibration Ltd (OTC) started in business on a cold but sunny day at the beginning of February 1989. The first three employees – Michael Harris, Kevan Hodson and Michael Thompson moved into a rented 2000 square feet building on the relatively new Listerhills Science Park in Bradford, West Yorkshire and began business immediately whilst a laboratory and offices were being built round them. All three had been employed by Standard Telephones and Cables (STC) at their Leeds high-technology development and manufacturing site – which was itself in the process of moving to South Wales. Both Michaels continue to work for OTC today – whilst Kevan moved on to co-found a test equipment business after a few years. The first order - from British Telecom in Leeds - was received within days and was for calibration of a fibreoptic power meter and head. 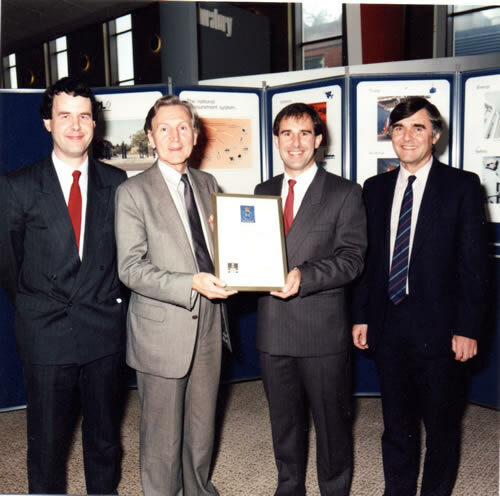 25 years on, such calibrations remain a key part of the business. Kenneth Dove and Paul Bateson – both with STC high-technology backgrounds – joined in the first year, together with a number of other members of staff – all but one of whom are either still with OTC or have retired. This tradition of long service has helped to maintain customer service and continuity of technical knowledge – both key features of the OTC business focus today. I soon joined Michael Harris as a director of the business. Professional recognition of OTC services by what is now UKAS/ISO17025 accreditation (was then NAMAS) in the field of fibreoptic calibration measurements was achieved within months of the business start. 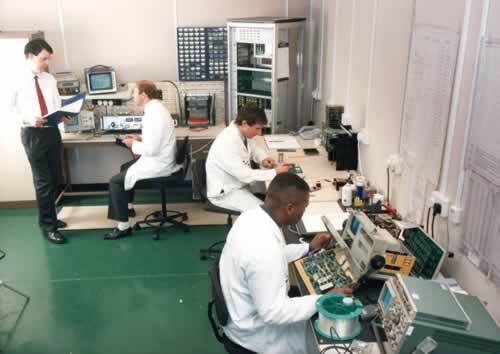 During 1990, OTC achieved quality assurance registration to standard BS5750 – now ISO9001 – for all services provided. These professional qualifications have been maintained continuously ever since – and the scope of the UKAS accreditation has been gradually expanded to cover a wide range of electrical measurements, photometric measurements in both visible and UV wavelength bands and further fibreoptic instruments. From the start, OTC has put quality assurance first, rather than turnover. The business uses a unique and bespoke software system which gives total status control of every instrument for every customer – but allows infinite individual customisation to meet the differing needs of all our customers. A quarter-century in business has inevitably meant periods of industrial boom and recession. OTC has weathered the bad times as well as the good by focusing on customers’ needs; by investing in diversification of our measurement capability - but staying within our knowledge - and by keeping costs under control. It has been proved time and time again that the small customer of today becomes a big customer a few years down the line if the correct service is provided and satisfaction achieved. Nicholas Alderman joined as a graduate engineer in 1993 in Optoelectronics and soon gained experience in various technical & sales roles. With an eye to ensuring business continuity as well as an expectation of fresh ideas, Michael Harris stood down as Managing Director in 2006, staying with the business in a part-time supporting role. Kenneth and Nicholas joined me as directors in 2006. In the financial year 2013, OTC achieved a turnover in excess of £2million for the first time, and issues more than 10000 calibration certificates per year. An expansion of the range of calibration services, and sales of new test instruments – together with related support services – will see OTC able to move to the second quarter century with confidence.